Why a Seatainer Storage Unit? can also be easily modified for various uses. They are perfect for storage and warehousing but can also be modified for classroom space and some have even been turned into personal homes. The units also come in many sizes so it is easy to find a unit that can fit your needs. Color and condition of units is ever changing. All of the units feature a ground entry level, high security locking system, and double doors which can open at one or both ends. All the floors in the units are wood. 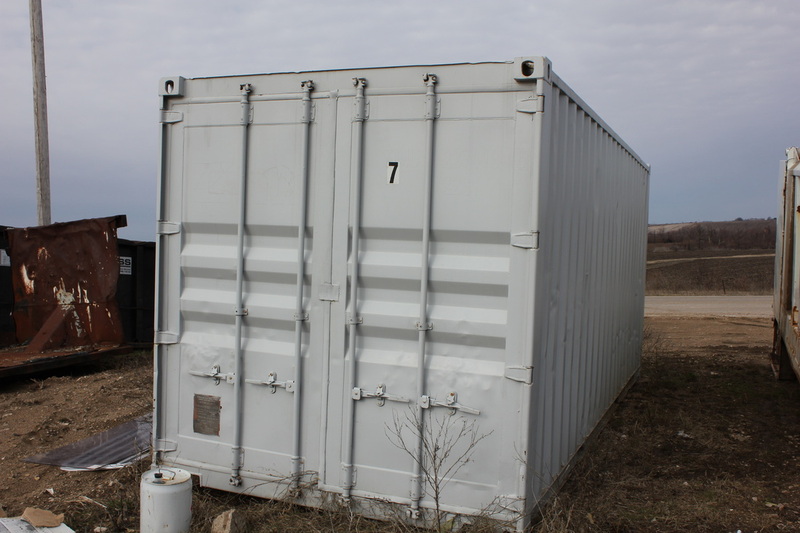 Below is an example of a used seatainer storage unit. Yes! A Seatainer Storage Unit is Perfect for What I Need. When Can I Get One? IF you want a size we currently do not have in stock then delivery can be scheduled within 5-7 business days. The storage units are delivered right to your location!